Vacationers in search of undeveloped natural beaches must go to Kauai: On a 20-plus mile run of coastline from the Coconut Coast (east shore) to Princeville (before dropping down to the tourist-packed Hanalei), you will find more than two-dozen beaches that are essentially wild. Most of these treasures are reachable only by trails that are unsigned. Hard to believe, but it’s true. 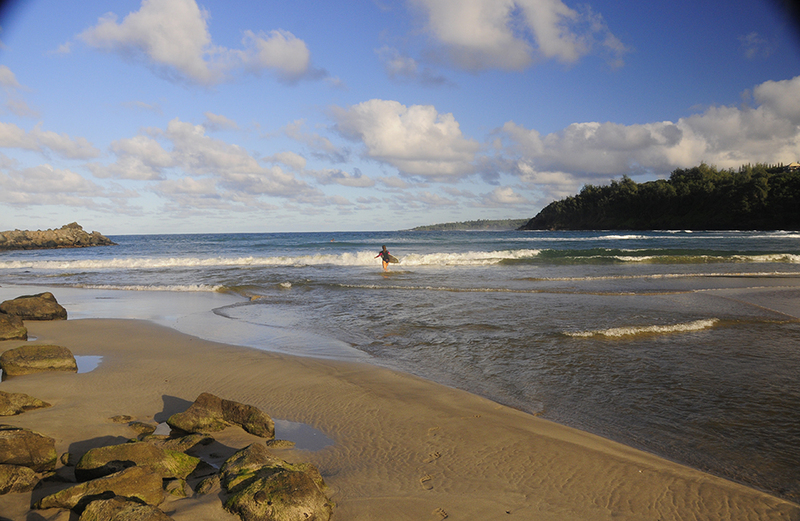 Kilauea Bay (above) is visited mainly by surfers and kayakers. The long curve of sand lies down a dirt road, not hard to navigate with a rental car. 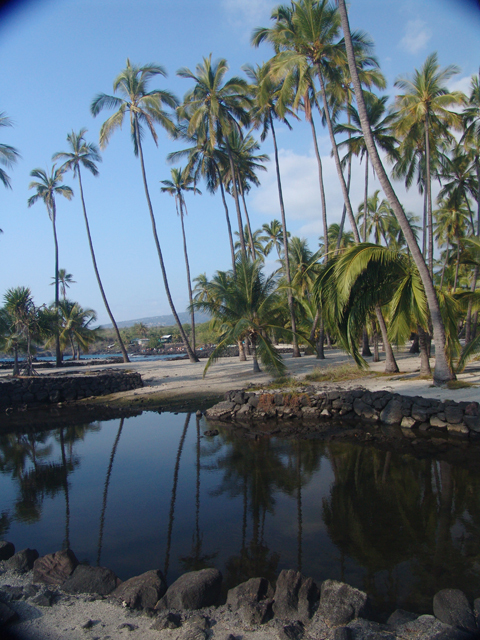 A short walk over a low-lying point gets you to Kilauea Iki Beach, which is totally private. 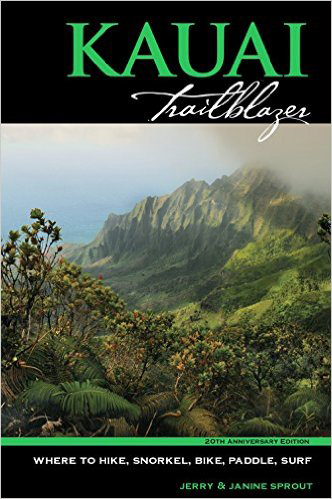 Kauai Trailblazer—now in its 20th anniversary edition—has specific directions to all these wild getaways, many with obscure access points. Getting to pristine Pila’a Beach involves a a short-but-steep hike from a rural road, and then a shoreline rock-hop for about 20 minutes—really ‘out there.’ Even in Princeville, with its condos and golf courses, you will find trails to hidden spots like Sea Lodge Beach and Kenomene (Pali Ke Kua) Beach. Be Aware: Hiking poles will help on some steep trails. 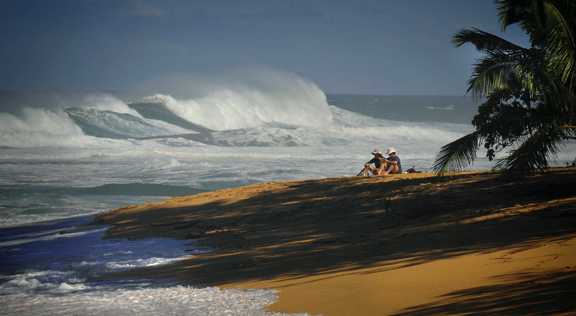 And always be mindful of wave action and ocean currents at these beaches, since you are on your own. 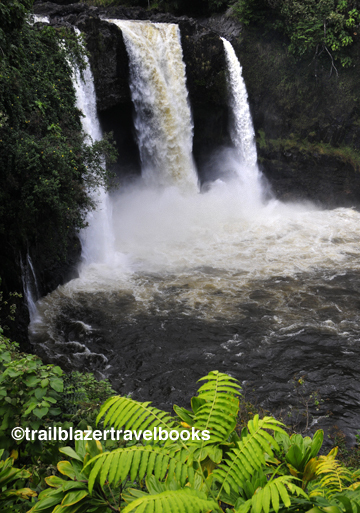 Kauai Trailblazer notes the specific hazards for each beach, and also has a section on how to read rip currents.